David and Casey discuss the ‘Aces’ video from Star Wars Resistance. 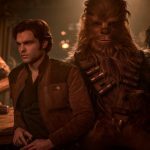 Then, they talk about the release of Solo: A Star Wars Story on digital and potential storylines of a Solo Sequel. 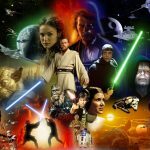 David and Russell talk about the Solo novelization and Thrawn Alliances. 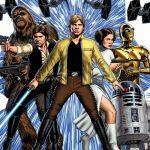 Then, they discuss their favorite Star Wars comics and just how important those stories can be to the overall canon. David and Casey talk about the latest casting news for Episode IX, the new poster for Star Wars Resistance and the revealed cameo that happens in the Solo novel. Then, they discuss if the question that got J.J. Abrams to direct The Force Awakens is still relevant. David, Casey and Cody talk about the recently released Star Wars Resistance trailer. 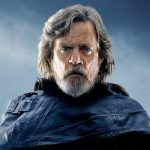 Then, they offer their thoughts on how well future Star Wars stories will be received after the conclusion of the Skywalker Saga. 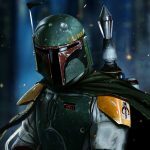 David gets you caught up on the latest Star Wars news. 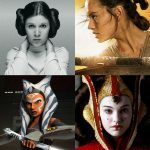 Then, he brings on guest Samantha Luse to discuss the Women of Star Wars. 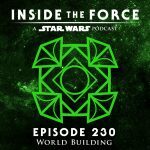 David and Casey discuss the beginning of production on Episode IX. Then, they talk about the rumored reports regarding the cost of Jon Favreau’s live action Star Wars series. 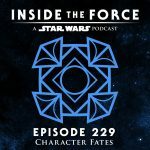 David and Casey talk about the release of Thrawn Alliances and the new details on Star Wars Resistance. 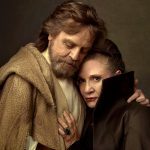 Next, they discuss the cast announcement of Episode IX which includes Mark Hamill and Carrie Fisher. Then, they share their thoughts on Leia’s story and whether or not this is the end of the Skywalker saga. 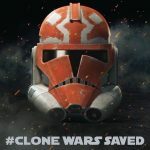 David, Casey and Cody discuss all the latest reveals from Comic Con 2018 including the return of The Clone Wars. They talk about their favorite memories from the series, their first impression of the trailer, how they think the series will end and so much more. David and Casey talk about all the big news surrounding the first look at Star Wars Resistance and the rumored story that Keri Russell will be joining the cast of Episode IX. Then, they discuss the possible roles that Keri could play and the relevance of introduced characters throughout the Star Wars saga.